NOW AVAILABLE! 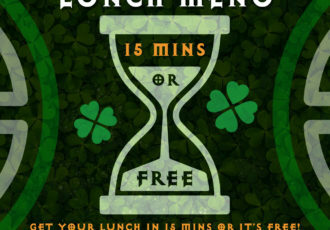 We have created an express “Beat the Clock” Menu for all you busy downtown professionals. Get your food in 15-minutes or it’s on the house! Instead of sweating..
We have created an express “Beat the Clock” Menu for all you busy downtown professionals. Get your food in 15-minutes or it’s on the house! Instead of sweating it out..